Every chess player wants to become a better attacker. It gives you more possibilities. It hands you the control. It racks up those rating points. We all love to watch games of the great attackers. Kasparov, Fischer, Tal you name it... were all great attacking players. How do you develop these very important series of skills needed for becoming a top-performing attacker? Our experience shows that the fastest and by far the easiest way is the “building block approach”. That is learning the most EFFECTIVE, PRACTICAL attacking schemes and applying them directly into your games. We simplified the entire training process for you. We picked the 25 most effective attacking plans and meticulously explored EACH and EVERY one of them in this brand-new Attacking Mastermind. The outcome is the powerful attacking arsenal that you can use to crash your opponents. Load Your Game with GM-Level Attacking Techniques in just 10 short hours! Let’s start. Nikolic-Fischer: How to use a “nail” as a very powerful attacking force? 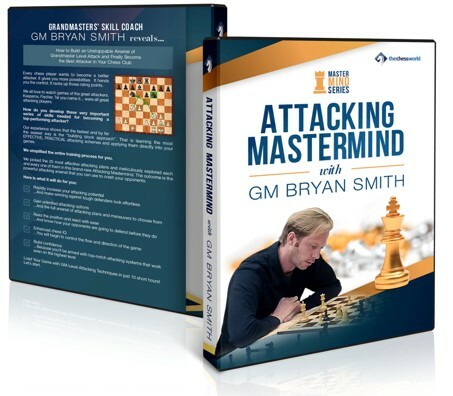 In this 10-hour, 9-chapter course, GM Bryan Smith reveals 25 most effective attacking plans and meticulously explored EACH and EVERY one of them in this brand-new Attacking Mastermind. The outcome is the powerful attacking arsenal that you can use to crash your opponents. GM Bryan Smith talks about the importance of working on studies, shares his most favorite one and reveals his method for cracking them. There is a lot you can learn from this short, but loaded with important info video lesson. 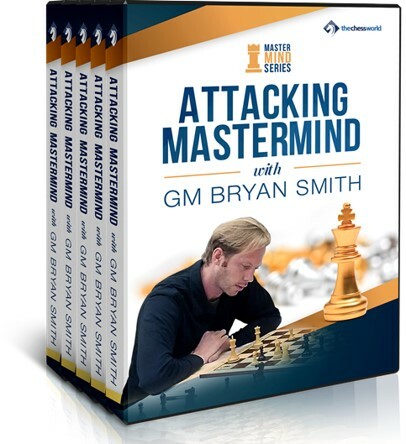 Watch GM Bryan Smith playing live and applying every single principle covered in the Attacking Mastermind. 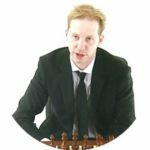 GM Smith annotates the games on-the-fly, sharing his ideas and secrets of success. A must-have for any serious chess player. GM Kraai teaches you the principles of systematic strategic play that you can apply directly to the positions you encounter in your own games! Things like the center run, blockade, restriction, and the double pawn complex will become second nature to you.